The Tanzania NCDI Poverty Committee is led by Dr. Ayoub Magimba and Dr. Mary Mayige. The Committee is a sub-group of the existing multi-sectoral NCD group in the Ministry of Health. The Committee met for the first time in November 2016. 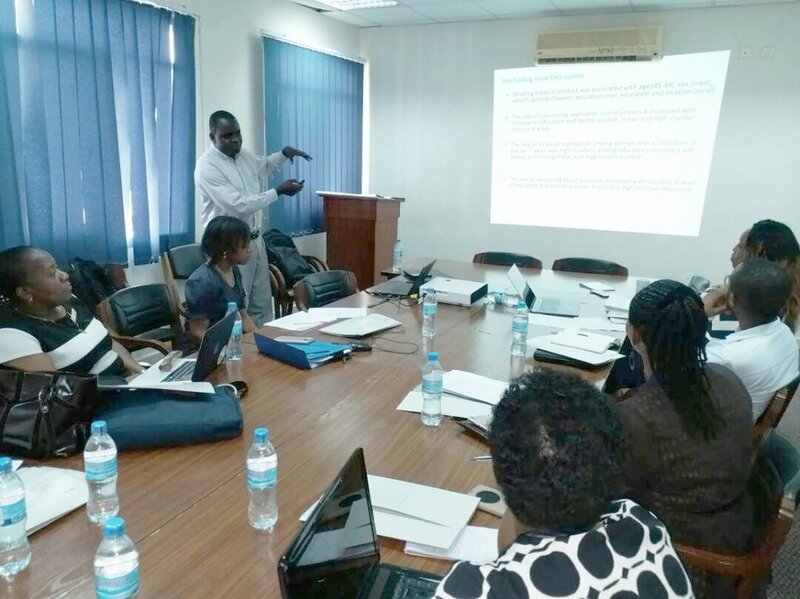 Dr. Ayoub Magimba (MD, MMED, MBA) is the Assistant Director of the Non Communicable Disease, Mental Health and Substance Abuse section for the Ministry of Health and Social Welfare of Tanzania (MOHSW) . A key member of the NCD unit at MOHSW since 2011, Dr. Magimba is an experienced leader in medical, non profit, and academic circles. Prior to his work at the MOHSW, Dr. Magimba served as Executive Director at Baylor College of Medicine Children’s Foundation-Tanzania, as Program Director at AMREF Tanzania, and as Head of Department of Psychiatry and Mental Health at Muhimbili National Hospital. Dr. Mayige graduated with a bachelor’s degree in Medicine and Surgery in 2003 from Makerere University, Uganda and received her Masters’ degree in Public Health from Muhimbili University of Health and Allied Sciences in Dar es Salaam, Tanzania in 2008. Dr Mayige received her PhD training in Epidemiology of chronic non communicable diseases at Newcastle University, United Kingdom. Dr. Mary has been passionate about non communicable diseases especially diabetes and has also been active in doing research in this area. Dr. Mayige was a member of the National Non Communicable Diseases Steering Committee and is the coordinator of the National Survey for Non Communicable Diseases. Dr. Mayige is also convening chair of the Tanzania Young Scientists Academy. Dr. Mayige is an author of several peer reviewed publications.